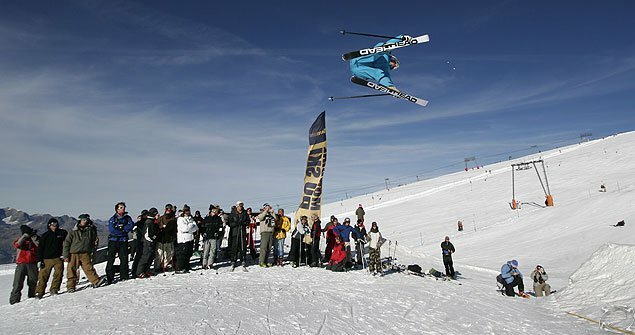 Mondial du Ski 2006 - Les 2 Alpes, FranceWords and photos by Tomek Gola/fikcja.plThe Mondial du Ski opened the season in Les 2 Alpes, France for the ninth time last weekend. 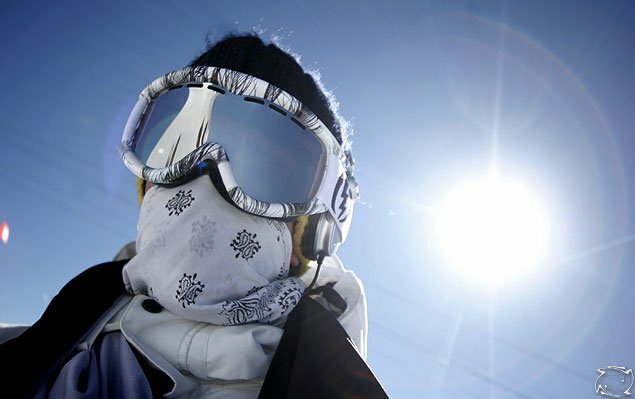 While the majority of French ski resorts are still closed, Les 2 Alpes’ Mondial gathers together classic and freestyle skiers on the resort's glacier (3200-3600 m). 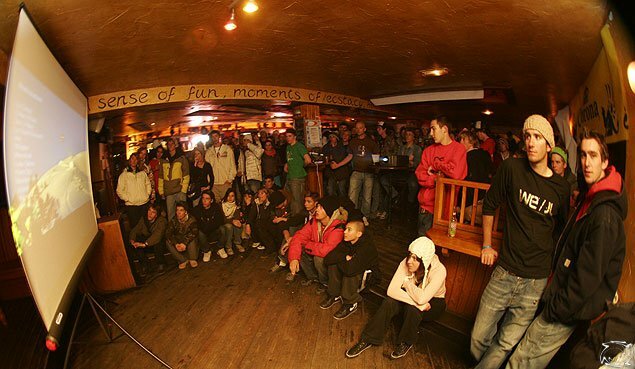 The event takes place the first weekend of November - the week after the Mondial du Snow, a similar event for snowboarders. 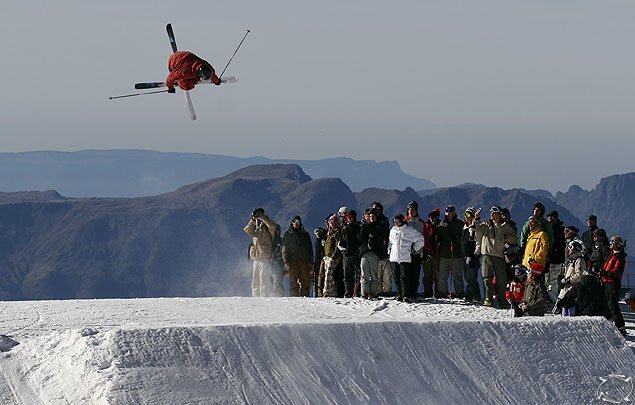 Each year the emphasis on freeskiing is greater. 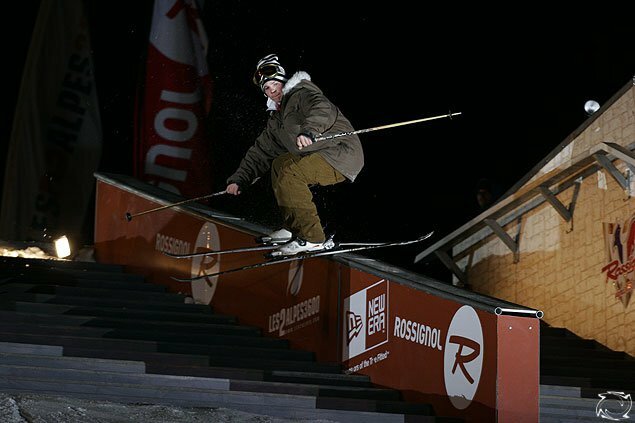 Most of the firms that take part in the event have twin-tips in their product line, and there are more and more each year that specialize in freestyle skis only. A few brands showed their product for the first time at the Mondial du Ski—like AXXUN. 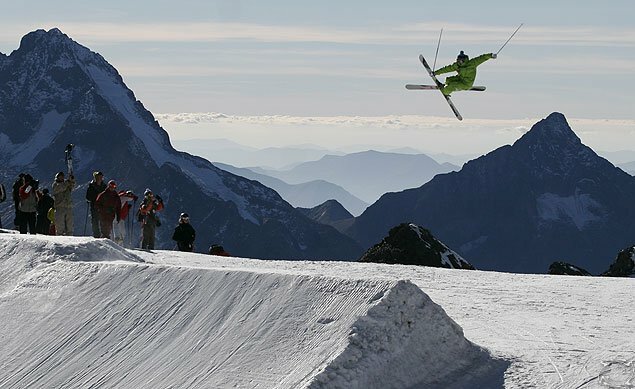 The top of the glacier is split in three sections: one with several slalom lines set up, a second with slopes well prepared for the classic skiers (pinetree classics, as we call them in Poland) for testing skis, and the third section—the most crowded—is the quite impressive snowpark. 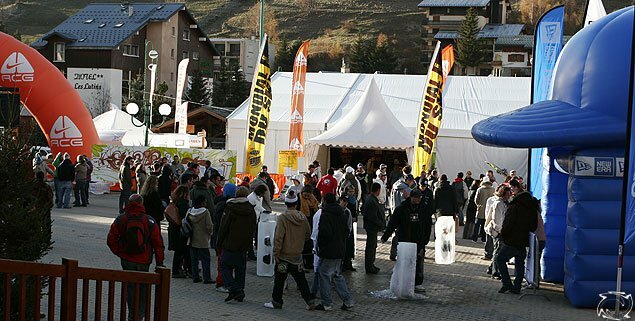 Let me take you through this year's Mondial du Ski day by day, or rather, hour by hour. Most of the people arrive in Les 2 Alpes on Thursday evening and the place starts to get crowded, especially by that peculiar species of skier that wears its pants well below the waistline.Les 2 Alpes (1650m), about 60km from Grenoble, is not a very pretty town. But it's set amid very impressive mountains, where freeride possibilities in the winter look like some of the best in this mountain range. 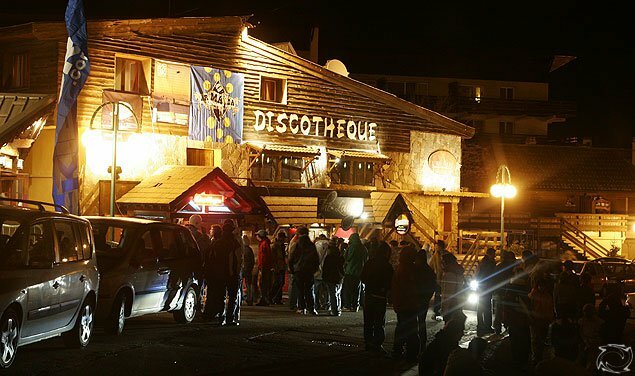 The event starts off with a party at Smithy's, where Skieur Magazine sponsors the premiere of Candide's new movie. Friday morning. The test area on the glacier gets crowded. 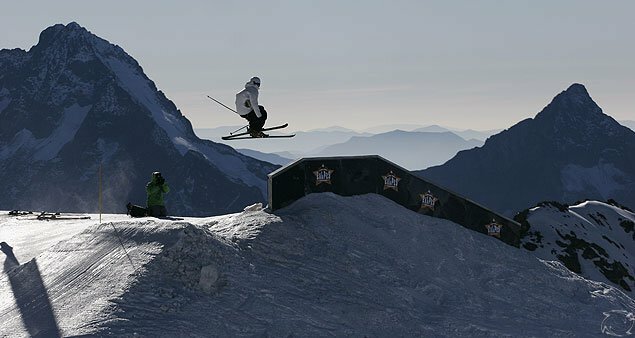 Many people haven't even brought skis to Les 2 Alpes this weekend – they just test new models. But watch yourself! 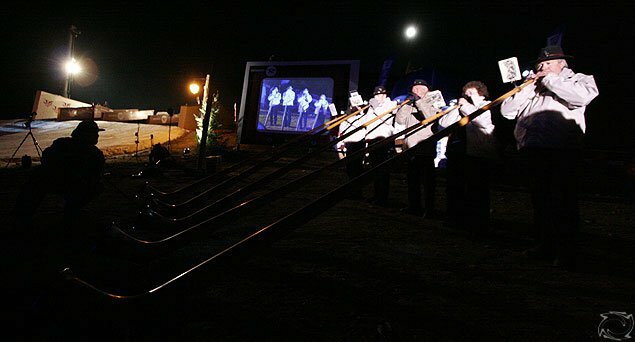 They don't demo poles at the Mondial du Ski, so bring yours with or you might end up no-poling it, which in Europe is still sacreligious. After choosing the equipment we head to the top of the glacier. But on the way there, I almost lose my head and balls – the wind is so strong that it almost blows me off the lift, and freezes my balls in the process. Friday is not a very good day to ride. The landings are ice-hard, so nobody hits the big kickers. 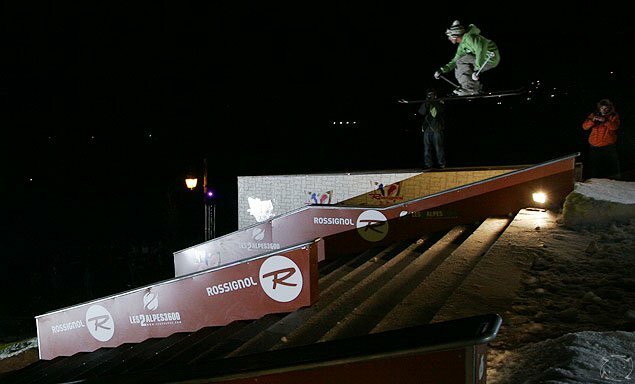 Most of the people do rails, like Roy Kittler in this photo. He nails it all ways possible - switch, switch 270, 450, 630. 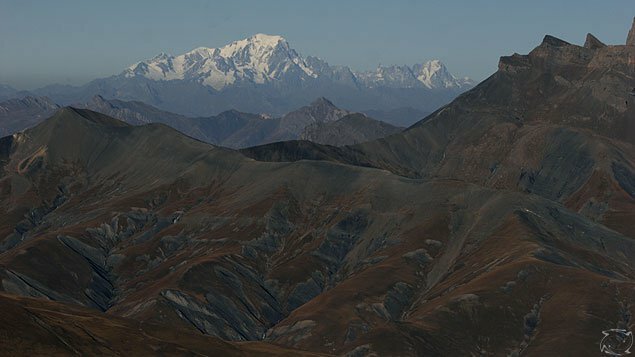 A clear view of Mont Blanc. 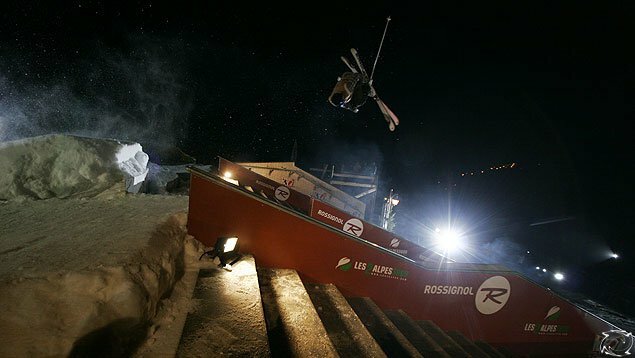 On Friday night, Rossignol brings a really well set up jibbing show. The list of riders lined up is impressive. Above, Fabien Maierhoffer throws a bio 7 over the staircase. Candide also shows off a few tricks. He isn't flying the highest or spinning the most, but he executes each one with perfection. Kevin Roland. He does crazy stuff over the stairs, and he lands most of it perfectly. There are a few riders that go for broke - they huck bio 9s without landing it; but hey, it's a show, right? And this is what turns on the public most. They want BLOOD! All in all the show is a lot of fun for the public and for the freeskiers. For the latter, this is also a warm-up for Saturday's Rossignol Century Contest. Saturday morning. The sun is already up and... there is no wind!!! ... they even make up their own grabs! I found the goggle grab the most amusing. Meanwhile, the paparazzi have their own contest. 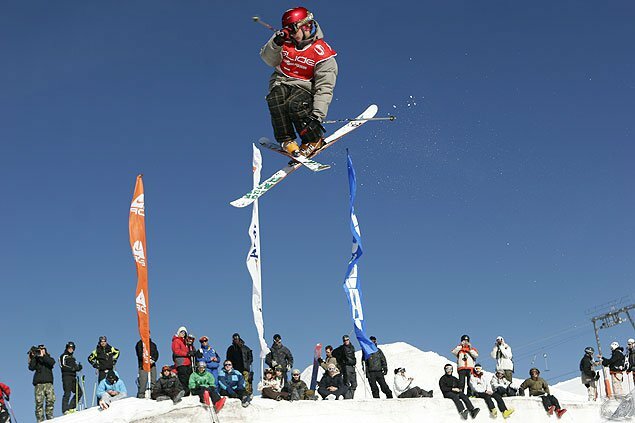 Antoine Meyer throws a cork 7 during the amateur contest. 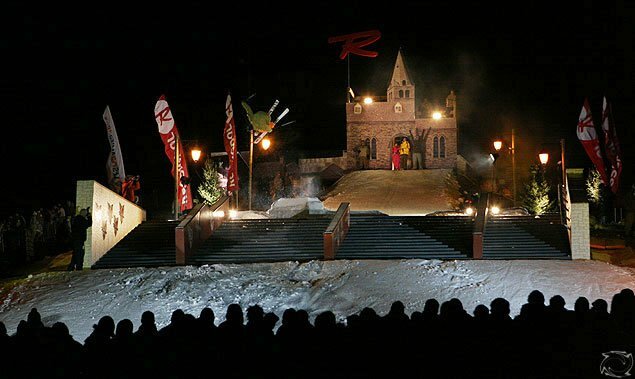 More than 20 kickers had been built, the biggest with about a 20m table and 5m high. The riders prefer to show their skills on the tabletop. And this is where the public gathers for the whole afternoon of Saturday. Xavier Bertoni with a switch cork 9 mute. Richard Permin - switch bio 9 was it? begins with a folk tune. The riders go more stylish than on Friday. It's not a show anymore. It's a contest, so the riders choose to ride more calm and stylish. Andreas Hetveit with 270 on, switch up, 270 out on the kink box. And the winner of the contest is: Frank Raymond! 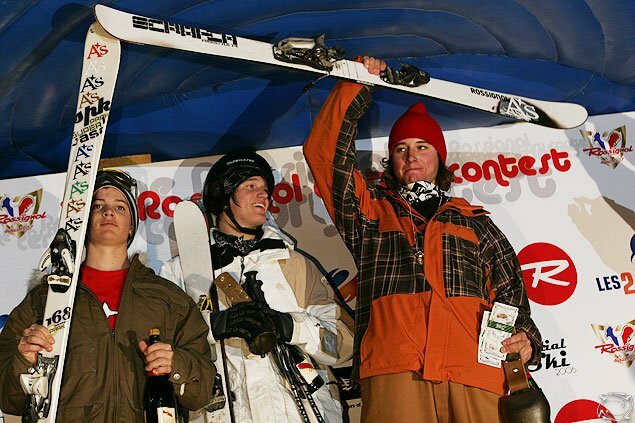 The winners of the Rossignol Contest (from right to left): first - Frank Raymond, second place - Andreas Hetveit, and the third on the podium - Alexis Godbout. Lolo Favre and Tanner Hall, among others, were the judges. Saturday night fever!